The Basic Book of Digital Photography is the definitive guide to the expansive world of digital photography from two of the field's most established authorities. Tom Grimm and Michele Grimm steer photographers through the new era of digital imaging. 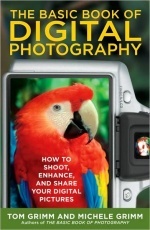 With its lively text, more than four hundred helpful photos and illustrations, and an extensive glossary, The Basic Book of Digital Photography is an indispensable reference for amateur and professional photographers alike.